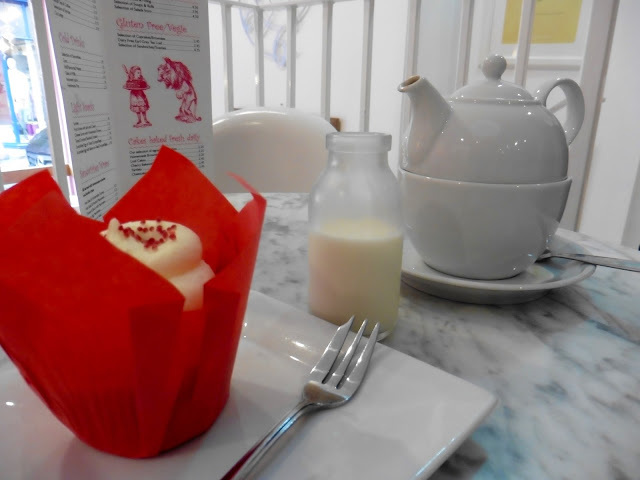 There is nothing I love more than discovering a new tea room to visit... tea and cake is my favourite thing! 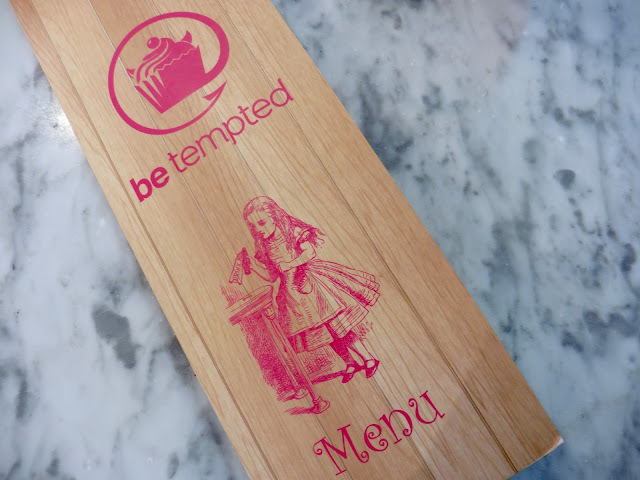 I can't explain my delight when I stumbled across Be Tempted, a cute little Alice In Wonderland themed cafe and cake shop in Durham. 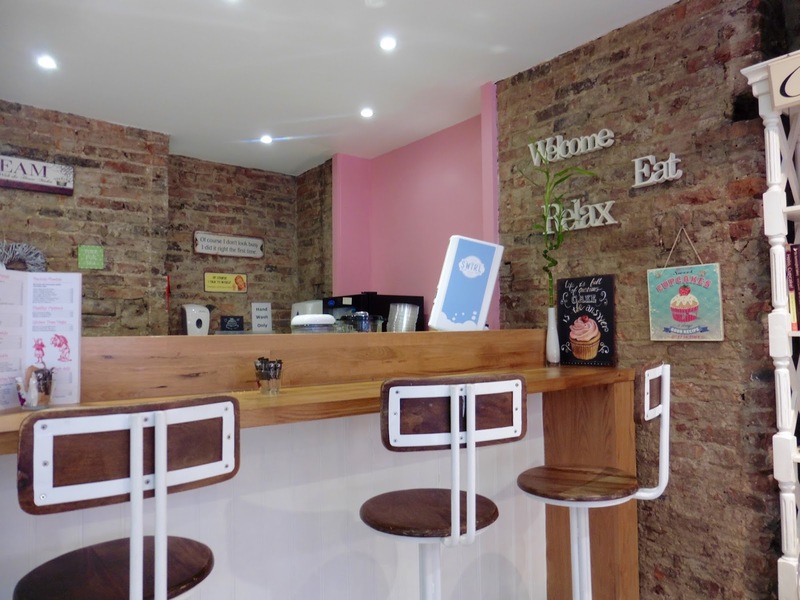 Located on Saddler Street, this is in the perfect place for a pit stop between shops for a break and the most adorable place to enjoy some tea and cake. 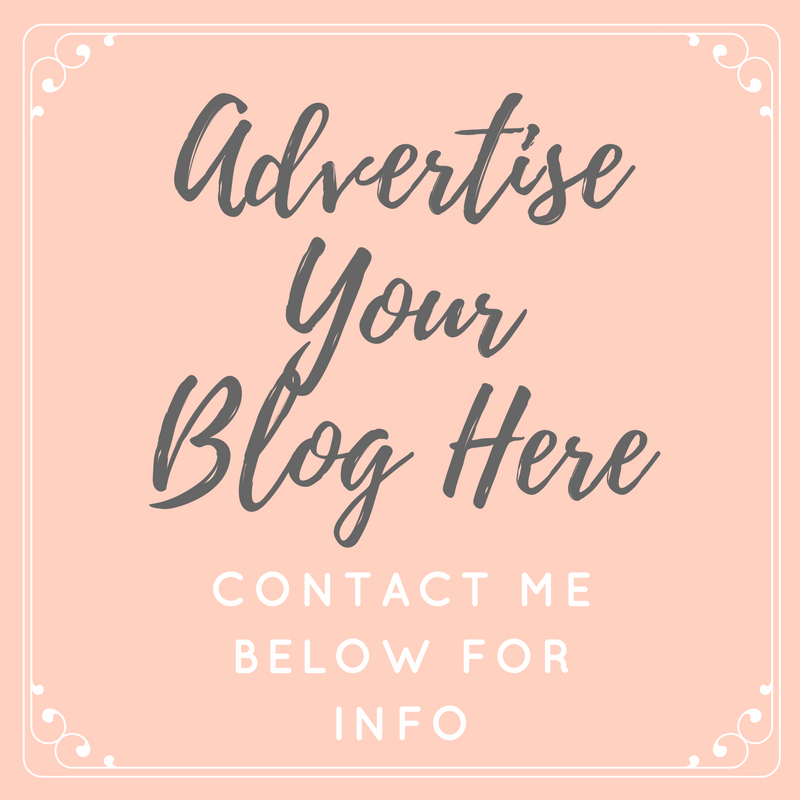 With it's marble tables, perspex chairs and a mixture of pink and exposed brick walls, this is a bloggers dream photo location - it's so Instagram-worthy! 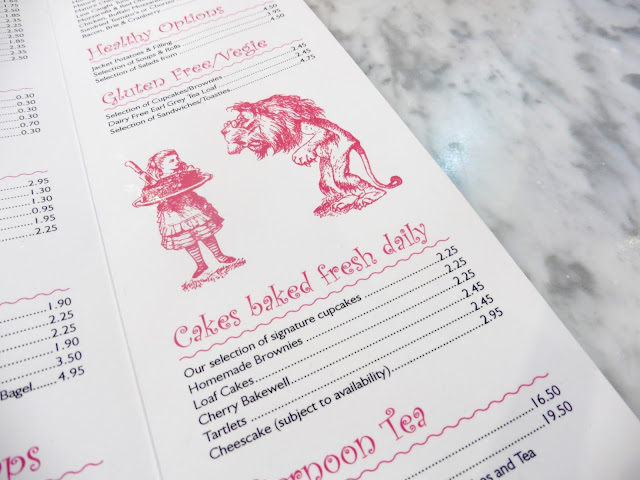 There are Alice In Wonderland themed prints all around the two-tier cafe, a big Mad Hatters Tea Party painting on the wall, and the cutest teapot lights above the counter. 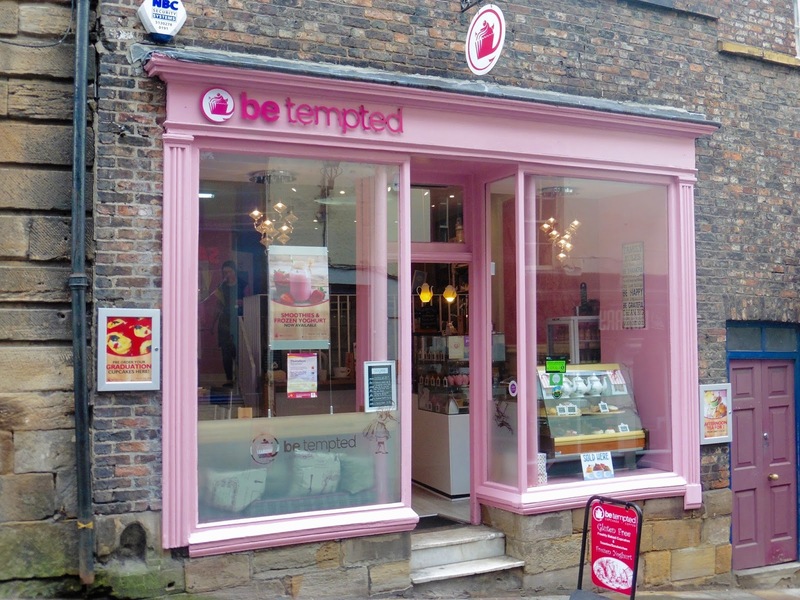 When I discovered Be Tempted, I couldn't resist going in... 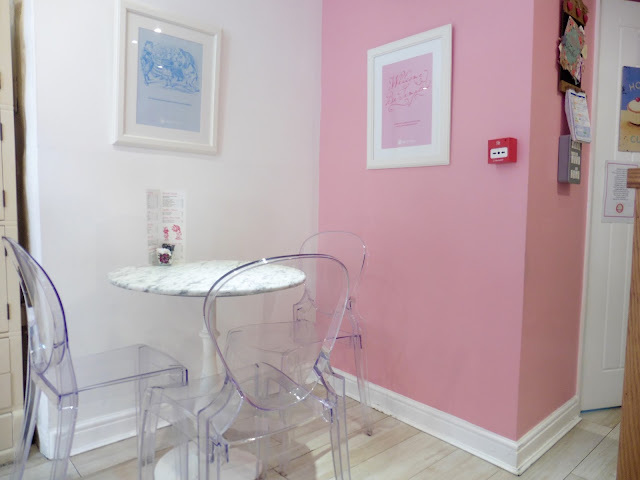 The pink exterior caught my eye and the cakes and scones in the window were enough to entice me inside, despite the fact that I'd just eaten a huge dinner. On the menu there are freshly baked cakes, brownies, scones including gluten free and vegetarian options, afternoon tea and savoury options including sandwiches and jacket potatoes, plus hot and cold drinks including milkshakes and smoothies. 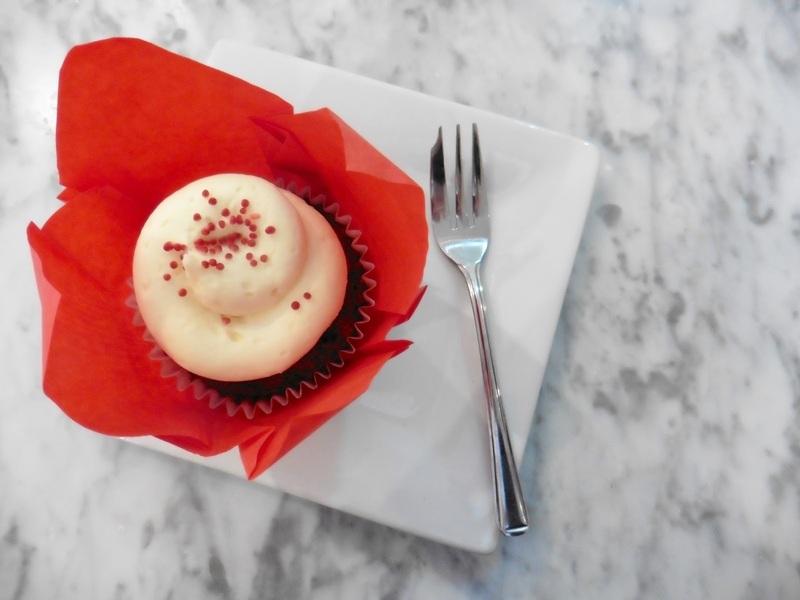 The rocky road traybake, brownies and loaf cakes all looked delicious but I chose to order a red velvet cupcake - just look at that cream cheese frosting! The cake was really fresh and tasty, with a really 'homemade' feel to it, which I love. I'm just sad I had already eaten and didn't get to indulge more, at least it gives me the perfect excuse to go back again soon! We also ordered a pot of tea, which came with a dainty little glass bottle of milk - I love the little cute attention to detail with things like this. If you're ever in Durham and need a snack or bite to eat, get yourself to Be Tempted, you can't miss it and it definitely lives up to it's name! What a cute little cage......you know it's going to be good when it's painted pink! 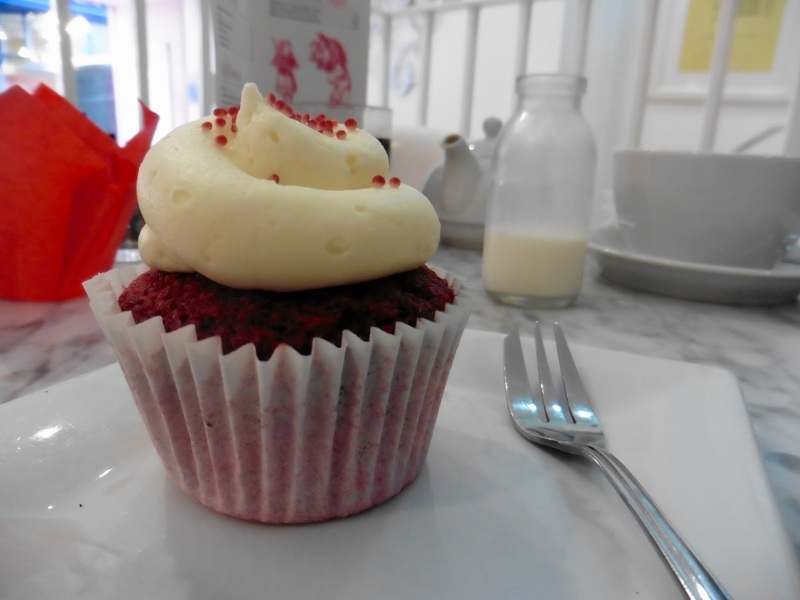 I wish I lived nearer, this sounds so cute and the cupcake looks so tasty! That cafe is so cute! This is such a cute place!